The gravity of the acid attack proved unbearable. 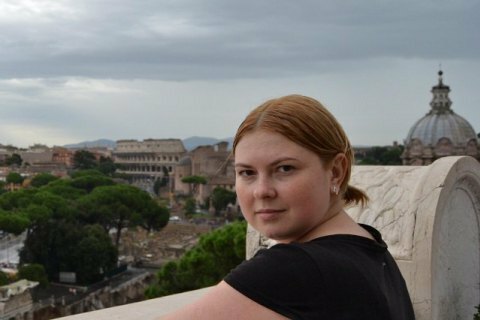 A Facebook community supportive of Kherson mayor adviser and well-known activist Kateryna Handzyuk, who died yesterday, has named the formal cause of her death. "The official cause of death: 1) multisystemic failure; 2) chemical burns of 30-39% of the body, 3) an attack with the use of a chemical weapon for the purpose of murder or bodily injury," the "Who killed Katya Handzyuk?" community said. The wake for Handzyuk will be held in Kherson at 2 p.m. on 7 November. On 31 July, an attacker splashed sulfuric acid at her face outside her house in Kherson. With 40% of her skin burnt and eyes badly injured, she has had a dozen surgeries. Five people are suspected of involvement in the 31 July attempted murder. All of them took part in the Donbas war as members of the Ukrainian Volunteer Army. Some of them were decorated for their courage. The masterminds of the murder, however, have not been identified.